Join Barbara E. Murphy and David Huddle for an evening of poetry! A native of Ivanhoe, Virginia, David Huddle has lived in Vermont for over four decades. He is the author of nineteen novels, short story collections, essays, and volumes of poetry, including Glory River and Blacksnake at the Family Reunion. He teaches at the Bread Loaf School of English and the Rainier Writing Workshop. " Huddle is a source of light in an often gray world," says Booklist. Barbara Murphy's work has appeared in several literary journals including New England Review, Green Mountains Review, The Threepenny Review, and Michigan Quarterly Review. She was nominated for a Pushcart Prize and is the recipient of a Vermont Council on the Arts fellowship. Murphy has worked as president of Johnson State College in Vermont since 2001 and has been recognized for her leadership roles in higher education. She lives and works in northern Vermont with her husband Tom Garrett. An account of spiritual survival through the practice of literary art, the poems in David Huddle s eighth collection, Dream Sender, move among a variety of poetic forms and voices. Here, a bear wonders why he could not have been a raccoon, a bird, or a meadow; and a five-year-old thrills to the forbidden taste of whiskey as he eavesdrops on his parents after-dinner conversation. By turns outrageous and pragmatic, Huddle s poems acknowledge the powerful and disturbing currents of the contemporary world as they also explore the comfort and familiarity we find there. Huddle's poems illuminate the nature of relationships between family, friends, and even animals, celebrating their shortcomings, embarrassments, and eccentricities. At once frank and compassionate, Dream Sender finds both humor and poignancy in human imperfections. Barbara Murphy's "Almost Too Much both tactfully and relentlessly interrogates our human experience in these dehumanizing times. There's not a sliver of false hope in these pages, but reading them, we catch glimpses of the paradox of our lives, that 'The sound of geese /overhead, their thin cries clear /as night through the ceilings and roof / of the house, is either the saddest /sound we will ever know / or one of great lifting joy.' Barbara Murphy's quietly brilliant poems move us readers toward usable truth," says David Huddle. Yevgeny Zamyatin is currently considered a "single author." If one or more works are by a distinct, homonymous authors, go ahead and split the author. 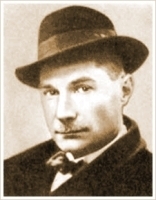 Yevgeny Zamyatin is composed of 103 names. You can examine and separate out names.